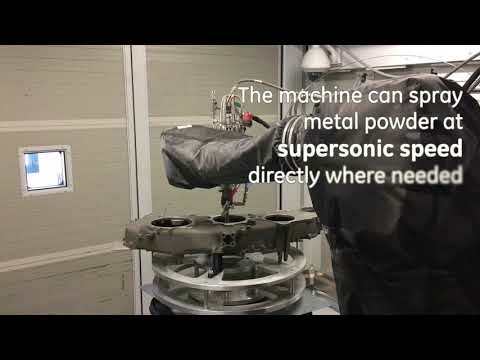 The exciting news for air transport, and aviation in general, is that the brand new additive technology, which already allows engine parts to be produced by 3D printing, can also be used to repair the components of an aircraft engine. In fact, among the additive technologies recently developed, Cold Spray is finally to be applied in Avio Aero, and for the first time in GE, on the accessory drive train of the GE90. In addition, the Avio Aero repair teams at Brindisi and the Additive Repair Development Centre at the Polytechnic of Bari are proceeding with the development and study of this technology (as well as Laser Deposition) for several other applications. These include portions of components or engine parts for other aircraft, such as the GEnx, CFM56, and some others which power the largest aircraft daily flying between countries and continents. In fact the accessory drive trains (but also the power gears of the TP400 for example) of the airline engines come to Pomigliano mainly for ordinary maintenance comparable to that carried out on cars and motorcycles, with the due proportions and appropriate distinctions. “There is no scheduled maintenance deadline for an aircraft engine, pilots and airlines steadily check the engine condition by monitoring significant critical parameters, such as temperature, turbine gas, cycles or hours accumulated...”. And it is right for this reason that in-flight diagnostics and digital systems for collecting such data are a fundamental objective for excellence in aircraft engine maintenance and prevention. This first repair technique for the GE90 engine is certified precisely for those areas of the transmission casing that get worn with the accumulation of tens of thousands of flight hours, as Lello explains. These areas are close to gears that run at high speeds: from 8 to 14 thousand rpm, and over time the rotation along with vibration and thermal stress inevitably causes wear on the metal walls adjacent to the bearing seats of these small but essential parts. Cold Spray is applied on these surfaces, where it deposits metal particles layer by layer, filling the grooves caused by wear. “Once Cold Spray has been applied in Bari, or in our Repair Center in Brindisi where there are also other machines that can perform the process, the transmission casing returns to Pomigliano for final work on the surface treated with additive, so that it goes back, as they say, like new”. Cold Spray, as explained by the team that developed it and applied it inside the Avio Aero Laboratory in partnership with the Polytechnic of Bari, is not just a resource for aeronautical services, but for industry as a whole. Aligned with the concept of flexible design and fast prototyping for newly built parts, it can be used to refine or fix both design and production errors (for example improving the machine process to remedy imperfections that might, even slightly, affect component surfaces). The additive brings man one step closer to perfection in the mechanical field, with machines that print parts or deposit metal powder, which are being installed in almost all GE factories. “Bari and Brindisi have additive repair machines, but I wouldn’t rule out a future in which even the Pomigliano CRO has one at some point; I am intrigued by this development because I worked in this workshop when we were still overhauling whole engines. It seems like a second youth...”.